Welcome to Day 969 of our Wisdom-Trek, and thank you for joining me. Thank you for joining us today for our five days per week wisdom and legacy building podcast. 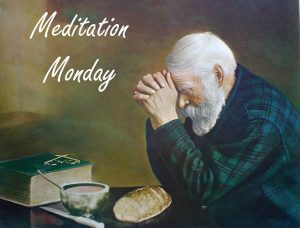 This is Day 969 of our trek, and it is time for Meditation Monday. Taking time to relax, refocus, and reprioritize our lives is crucial in order to create a living legacy. 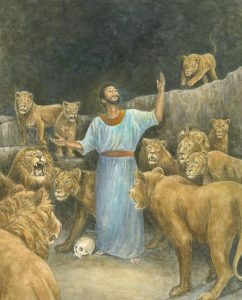 Most of us are familiar with the story of how Daniel, supposedly because of his religious beliefs, was thrown into a den of hungry lions. No question, Daniel got a dirty deal. He was set up by jealous, lesser men who wanted him out of the way. It seemed as if they were about to succeed except for one thing…they overlooked Daniel’s trust in God. 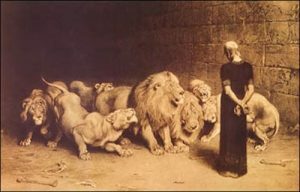 The interesting thing, however, about Daniel being thrown into the den of lions is that God didn’t deliver him out of the den before Daniel first found deliverance in it. Imagine if Daniel had fought against being thrown into the den (which he would have been justified in doing), and gone into the den fighting against it every inch of the way. Chances are the lions would have torn him to pieces before he hit the floor of the den. But Daniel didn’t struggle. He accepted his lot, and trusted his life to God who shut the lion’s mouths. 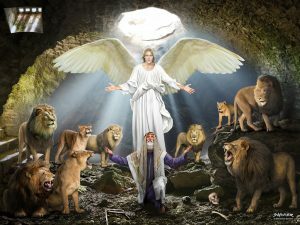 On more than one occasion when in a very frustrating situation, I have asked God that if I am not going to be delivered out of my “lion’s den,” would he please help me find deliverance in it. Sometimes God has a lesson for us to learn through a difficult situation, and before he delivers us out of it, like Daniel, he delivers us in it. It is also important not to base our beliefs and actions on the way we feel. Keep in mind that it is the Word of God, the Bible, which is our final voice of authority—not the way that we feel. We need to find deliverance in it. The good news is that once we learn the needed lesson, we don’t have to go through the same experience again. Next week we will continue our trek on Meditation Monday as we take time to reflect on what is most important in creating our living legacy. On tomorrow’s trek, we will explore another wisdom quote. This 3-minute wisdom supplement will assist you in becoming healthy, wealthy, and wise each day. Thank you for joining me on this trek called life. Encourage your friends and family to join us and then come along tomorrow for another day of our Wisdom-Trek, Creating a Legacy. If you would like to listen to any of the past 968 daily treks or read the daily journal, they are available at Wisdom-Trek.com. I encourage you to subscribe to Apple Podcast and Google Podcast so that each day’s trek will be downloaded automatically.